for winning our contest and thank you for leaving us a comment, “like” ing Side by Side Design on Facebook, and following our Pinterest boards. Email us at sidebyside.design@yahoo.com with your address and we will mail you your prize! 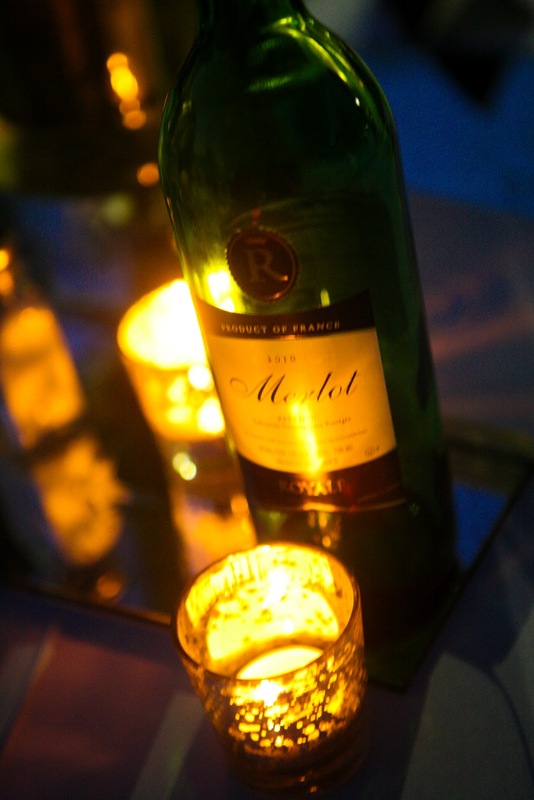 We hope all of our readers have a great long weekend! To complete this week’s wedding posts from Rebecca’s garden chic wedding we would like to share some photos for a more detailed look at all of the paper projects we made ourselves. 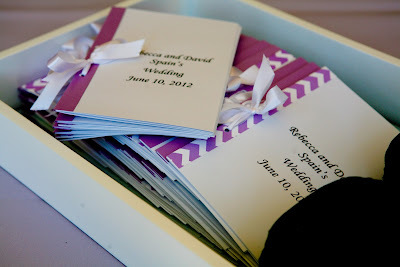 To keep with the overall look of the wedding, we were consistent and used the same paper from the invitations to make sure everything tied together nicely. 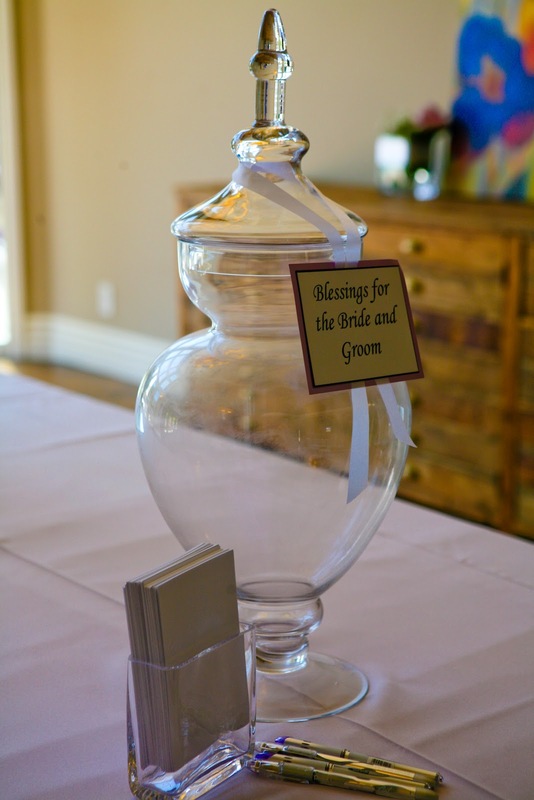 Blessings Jar – This is an awesome way to share your blessings with the Bride and Groom. 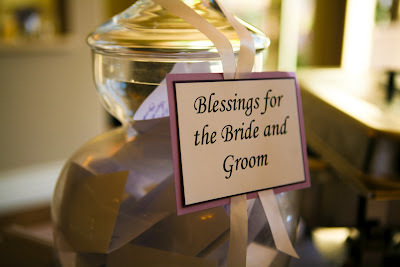 Our blessings jar was made out of an apothecary jar which we adorned with a homemade tag and tied with a white satin ribbon. 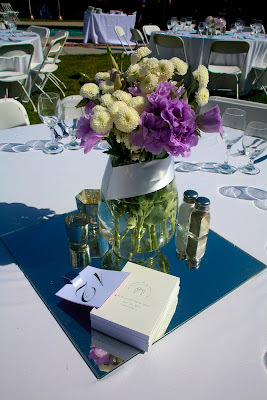 We pre-cut card stock and left out purple ball point pens for guests to write down their thoughts. Card Box – Our cardboard box was wrapped in silver textured wrapping paper and decorated with purple satin ribbon, simple yet beautiful! Ceremony Programs – A thin strip of lavender or chevron print paper added a whimsical touch to these simple wedding ceremony programs. The Bride and Groom included text describing the different parts of a traditional Jewish ceremony inside. 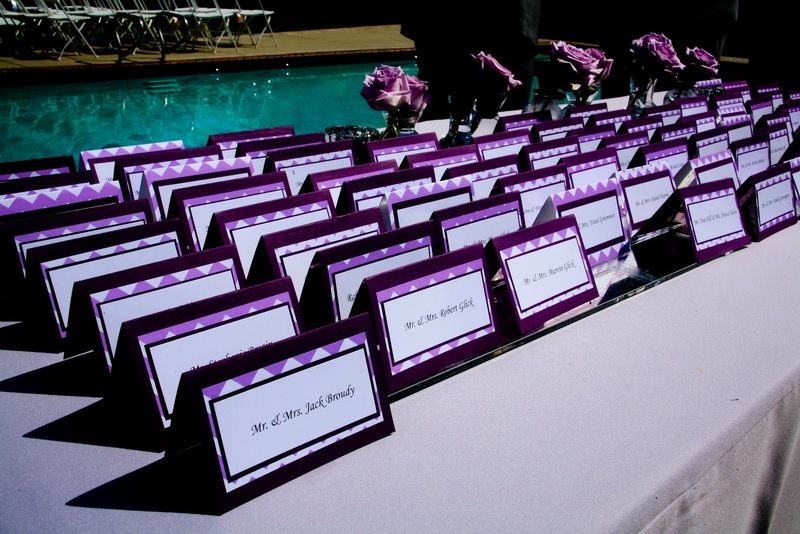 Name Cards – The paper used in these name cards was consistent with the ceremony programs and the wedding invitations to tie everything together. 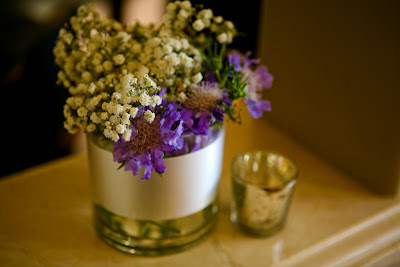 They were laid out on an antique mirror table runner for a finishing touch. Drink Tags – Rum Punch and Vodka Lemonade were included in the wedding drink selections. We made framed tags to let guests know what was in each drink dispenser. 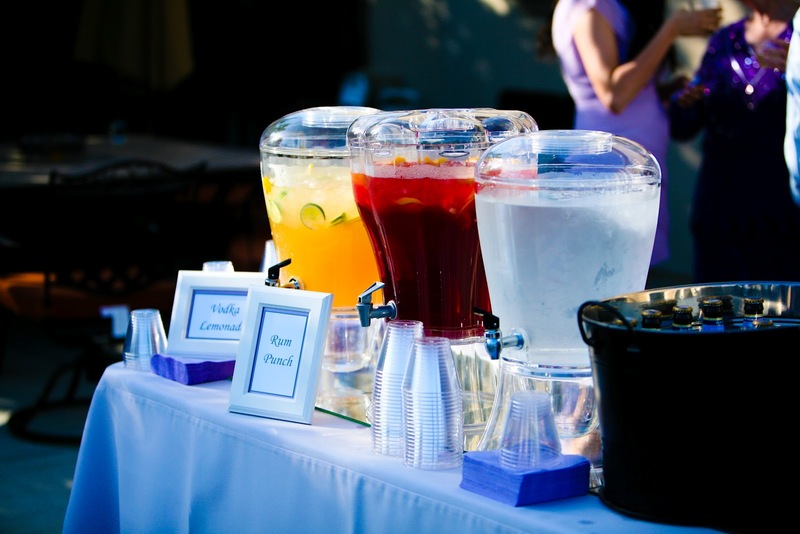 It could also be cute to give your own original names to the signature drinks at your wedding. You could use nicknames or favorite vacation spots to help you be creative when selecting these names. 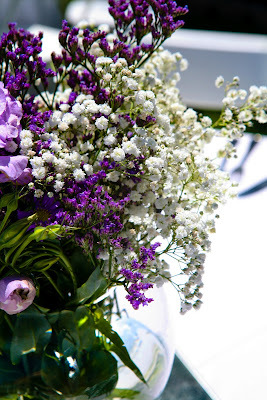 We hope you have enjoyed this series of wedding posts including everything from the engagement photo session and the Hen’s Night to the wedding reception and paper projects. This was such a special, personal project for us and we think it shows in the detail we put into every part we helped plan. 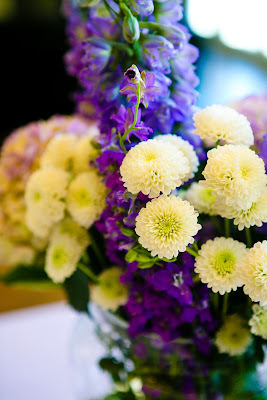 Photographs taken by Ambrosia Event Services and Gerald Mendelovitz. 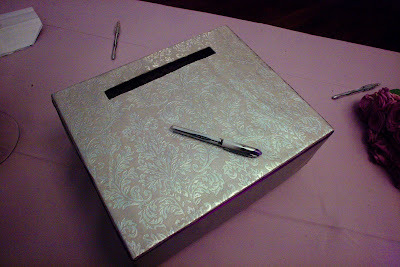 Just a reminder that today is the last day to enter our special handmade card gift giveaway (directions seen here: http://sidebysidedesign.blogspot.com/2012/08/handmade-card-gift-giveaway.html). The winner will be announced this Friday morning. Good luck to all of our contestants! 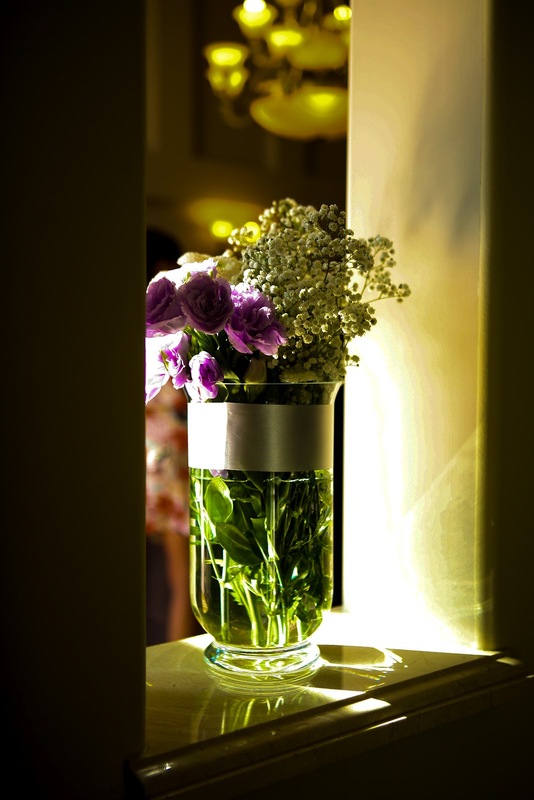 Welcome to wedding week here on Side by Side Design. 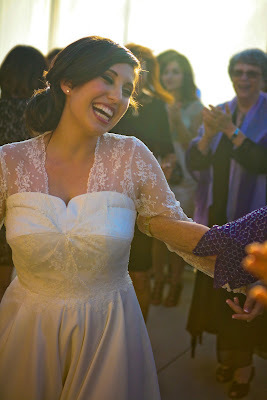 We are extremely excited to share the rest of the details from our sister, Rebecca’s wedding. Last month, we began by posting the Wedding Ceremony and now we will conclude by giving an inside view to our preparation as Rebecca’s wedding planners as well as the final product. 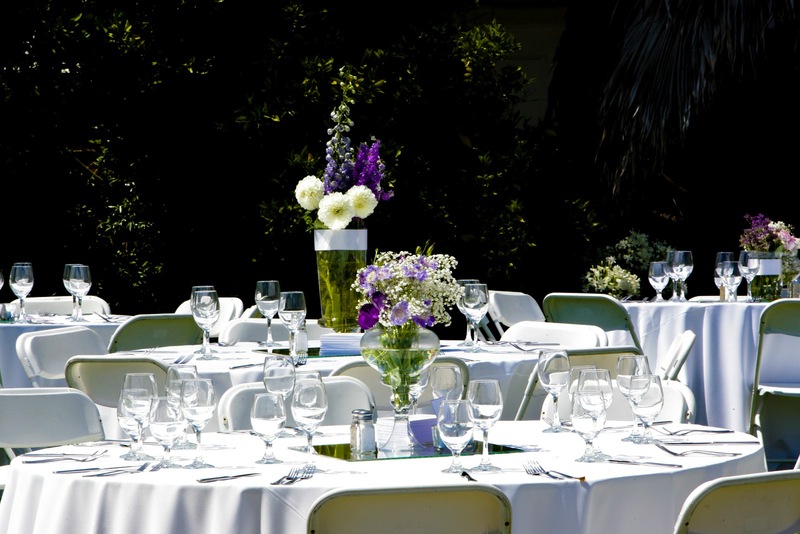 Without further ado … we present to you Rebecca’s wedding reception. As Rebecca’s sisters, unofficial Bridesmaids, and Wedding Planners for this event we wore many different hats. We were her shoulders to cry on, the ones to give her advice for all wedding related matters, the florists, the creators of all things decor, and the go-to-girls for all of her vendors. 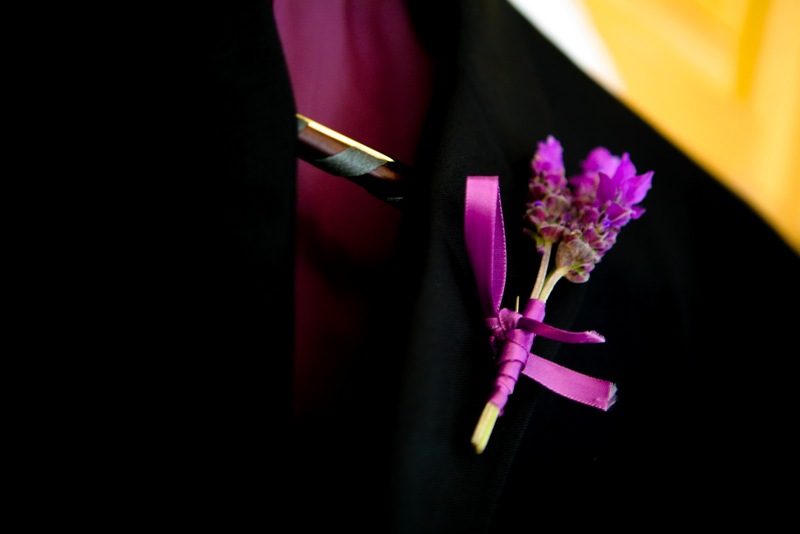 Although our new brother-in-law was not quite as into the small details for the day, we kept him in mind when creating his boutaneer as early on in the planning he had mentioned that he likes the smell of lavender. Bud vases, each with a single lavender rose were displayed on the table with the name cards. We searched high and low at the Los Angeles Flower Mart for bouquets of roses in the perfect color. 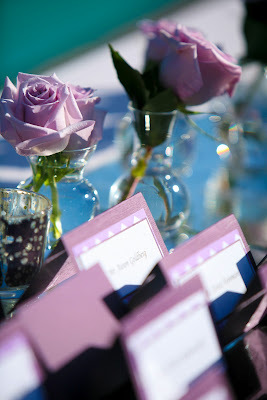 Each table was set beautifully with a centerpiece including a variety of purple and white garden flowers in different shaped apothecary jars, textured candle holders, and personalized benchers (prayer books) all on a large square antique mirror. Each jar was arranged with a different variation of flowers in the signature colors. We had so much fun acting as florists for the day. 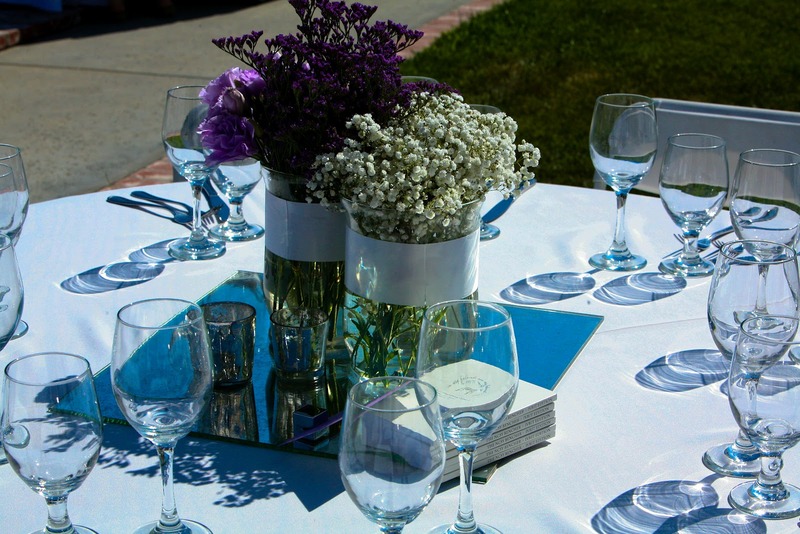 We enjoyed a delicious meal catered by L’Chaim Kosher Catering while listening to speeches written by our brother Aaron (the “Mayor of Honor”) and the Bride and Groom. 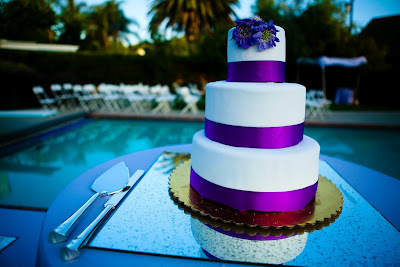 We added fresh flowers to this tiered wedding cake so that it coordinated with the rest of the garden decor. Lavender tea lights in round glass vases added a touch of glamour to the pool. Men and women began by dancing separately in a more traditional fashion. 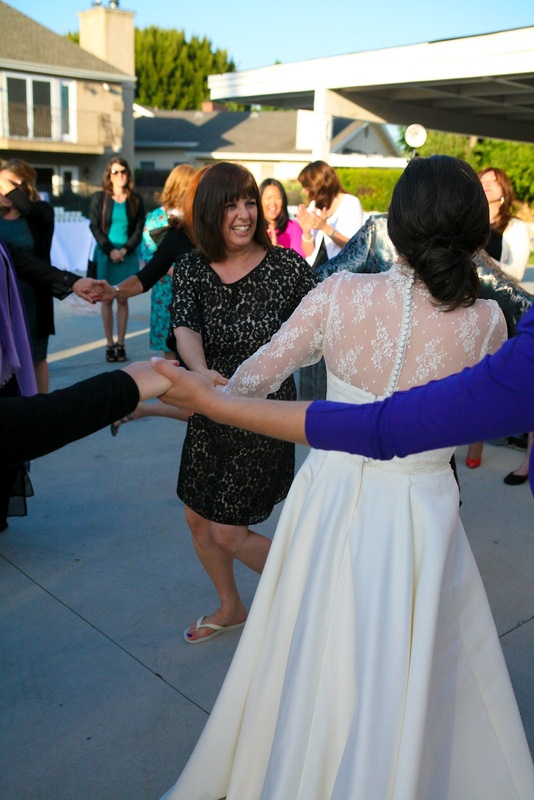 The women danced the hora circling the Bride while the men lifted the Groom up in a chair and clapped and cheered to the music. Later on in the night, the dance floor opened up to a more modern dance party where guests participated in line dances (some old camp favorites) and brought back many old school moves. 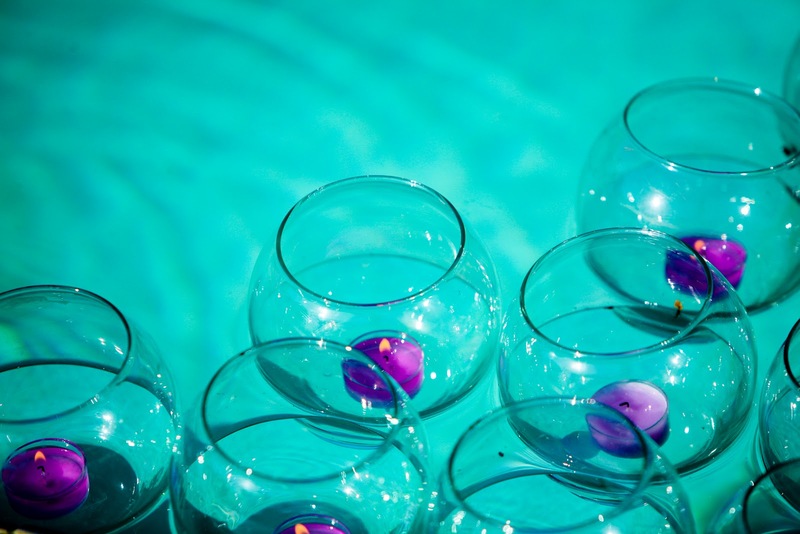 As the last sips of wine were consumed, the Groom dried off from jumping fully clothed into the pool, and guests danced to the final song … “So Call Me Maybe”, we looked over at our sister’s smile which never left her face and knew that this day could not have been more perfect. If you like what we have done for this event, we would love to work with you “Side by Side” on your next party planning venture. Contact us at sidebyside.design@yahoo.com to get started. 1. Like us on Facebook at http://www.facebook.com/pages/Side-by-Side-Design/215913955121176?ref=hl (if you haven’t already done so). 2. Leave a comment below to let us know that you are hoping to win. BONUS: Receive extra entries by following us on Twitter at https://twitter.com/SideSideDesign, following us on Pinterest at http://pinterest.com/tamibitton/ and http://pinterest.com/lgwartz/, or pinning your favorite Side by Side Design photo on Pinterest (and leave a comment to let us know what you did). Giveaway open to US residents only. You have until next Wednesday, August 29th, to post entries for our contest, and we will be posting the winner that Friday, August 31st. Best of luck to you all! For our sister, Rebecca’s Wedding Ceremony her husband-to-be took it upon himself to create a canopy for the two of them to be married under. This chuppah was truly a “labor of love” and represents the home they will be creating together. As building a chuppah is not exactly our area of expertise we have asked Rebecca’s husband to describe his process in detail for us and our readers. Tip to readers: Please note … our brother-in-law is VERY sarcastic! Like most Grooms, I spent a lot of the wedding planning sitting around, feeling useless … not caring whether or not we had violet or purple, and not knowing the difference either. So when a project came up that I could do on my own, without having to sit through endless discussions on whether I thought lilac helped tie the room together or not, I jumped at it. Tip to Grooms: Do anything to appear useful during wedding planning! 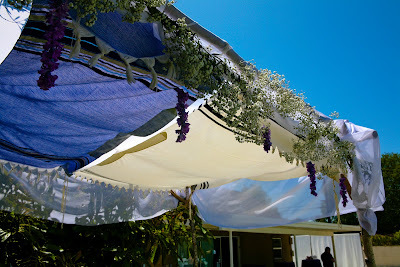 Being the more handy one in the relationship, the chuppah seemed like a project that I could do. At a Jewish wedding, the ceremony takes place under a chuppah (a marriage canopy representing the future home of the Bride and Groom). 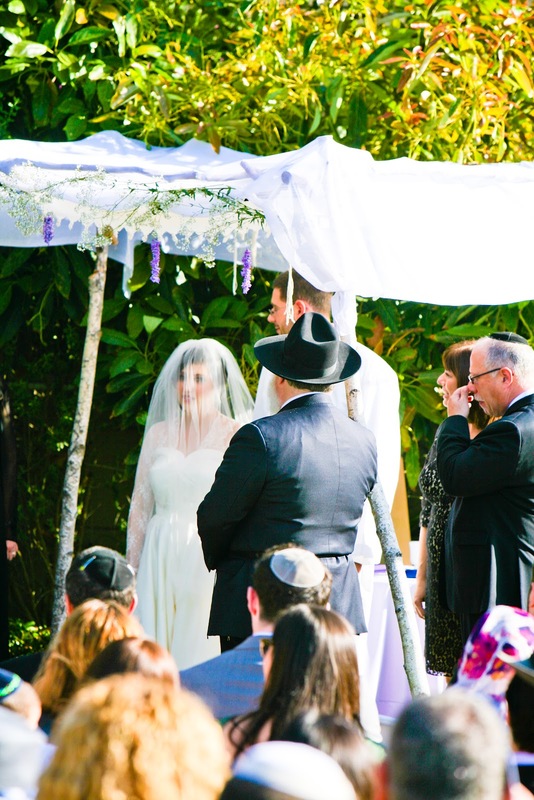 A chuppah is basically a 5-sided cube which traditionally has a cloth roof and needs to be tall enough to fit over the the Bride and Groom (more on that later!) 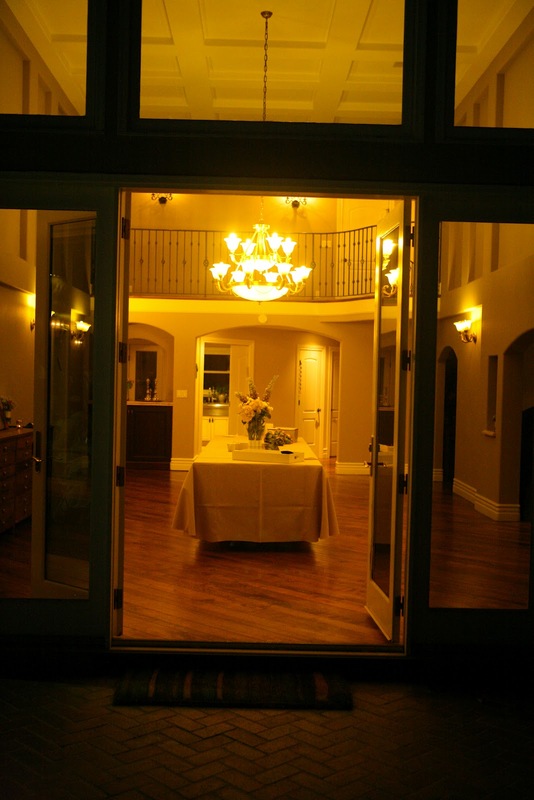 and enough floor area for the Bride to circle the Groom within it (add extra room for large wedding dress, if necessary). So obviously the easiest materials to work with, like PVC pipe, are not always the nicest to look at, and the nicest materials are not always the cheapest or easiest materials to work with. Fortunately for Rebecca and I, friends of ours were chopping down trees in their backyard which allowed me to go and butcher some of them before they were removed. There was a nice big silver Birch that I managed to harvest all of the uprights from. Silver Birch has very beautiful bark and is also easily carved, so it was ideal (wood can warp significantly as it dries, therefore it is a good idea to allow the wood to dry, known as “seasoning”, for at least 6 months before use). That means plan ahead, if you didn’t harvest your wood in advance you may well be out of luck, or ask your local traditional furniture maker as they may have what you need. 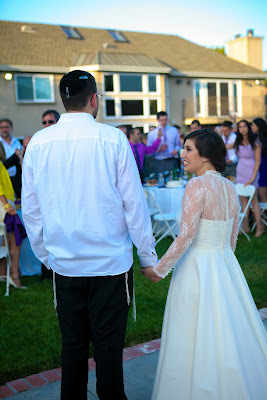 Note to all future Grooms: The uprights for your chuppah must be at least 1.5 feet taller than the tallest person that will be standing under it. This is because the upper parts of the chuppah will be attached a few inches below the tops of the uprights, and the cloth cover will sag a bit. Due to the height issues we ended up having, we had to place the feet of our chuppah on some terracotta pots to raise it up a bit. The next decision to make is the size of the floor area. I made ours from 7 ft. lengths. 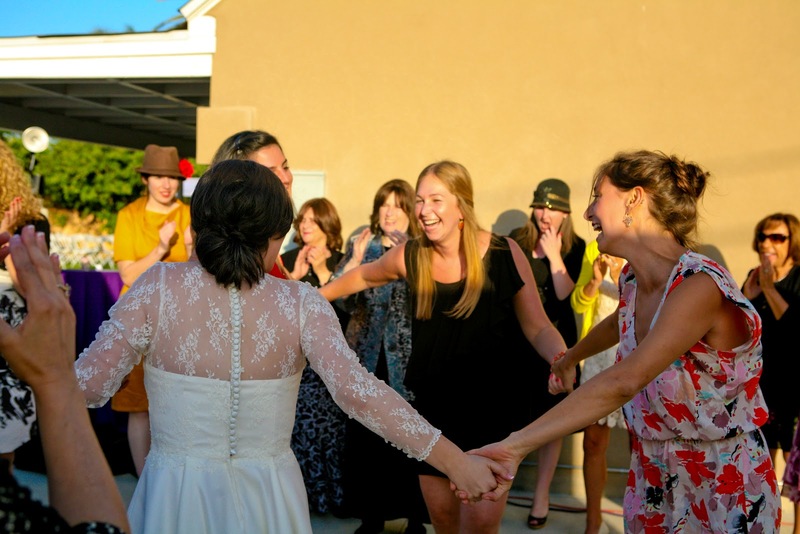 7×7 feet may sound like a lot, but if I could re-make the chuppah I would have made it a half foot bigger in both directions. Now onto the actual making of the chuppah. First, bear in mind that these measurements do not need to be exact. I did everything simply by measuring a piece of string to a few inches bigger than I needed, and tying a knot close to each end. You will need a saw, a knife, and lots of string. A chisel can also help a lot, but I like doing things the traditional way. Make sure your tools are sharp. Sharp tools are safer and more pleasant to use. Remember that when using a sharp object, all pink bits (i.e. parts of you), should be behind the edge of the tool. Also, at some point you will need a buddy to help you assemble the chuppah. The first thing you need to know about is “lashing”, you only need to know about the square lashing and there’s a nice guide here: http://www.ropeworks.biz/reader/squarlas.pdf . There is also a nice pair of videos on YouTube, part 1: http://youtu.be/EB9_FsVLTbk and part 2: http://youtu.be/RdJG67UN594. Watch all of the videos and make sure that you follow the directions regarding the X gouges before moving forward. I used natural twine for cordage (which stretches over time). This meant that I ended up having to re-lash some of the joints as they had become too loose. To avoid this problem you can either use synthetic cordage, or be prepared to re-lash at some stage, or do it last minute, whichever suits you best. If extra stabilization is necessary, use cross bracing, which is connecting a crosspiece to an upright using a third piece of wood. This is done at a corner, and will provide some extra stability. The cross braces should not have the X joints as they need to be able to rotate. The way I cross braced was to take my third piece of wood (the part doing the bracing), and lash it perpendicularly to either an upright or a cross piece. Then I twisted it 45 degrees to place it under tension before lashing it to the other part. Generally you will do this to connect a crosspiece to an upright. 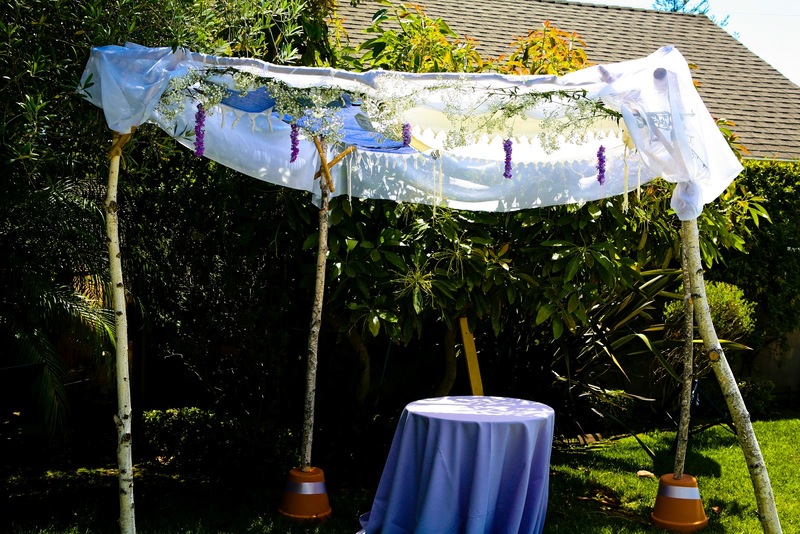 You are now ready to build your very own chuppah. Have fun and send pictures to Tami and Lauren. They would love to see them, I’m sure. *Legal disclaimer: You are undertaking this project at your own risk, if you do cut / injure yourself it’s your own bloody fault, not my, or the blog’s problem. 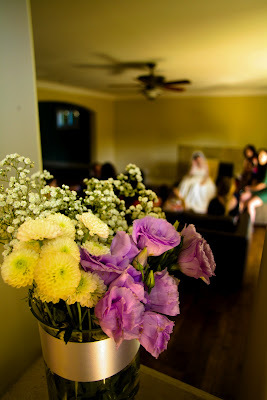 Photographs taken by Ambrosia Event Services.